VICTORIA, BC – Lighthouse Brewing has announced the release of a unique hybrid style as their latest limited edition beer. 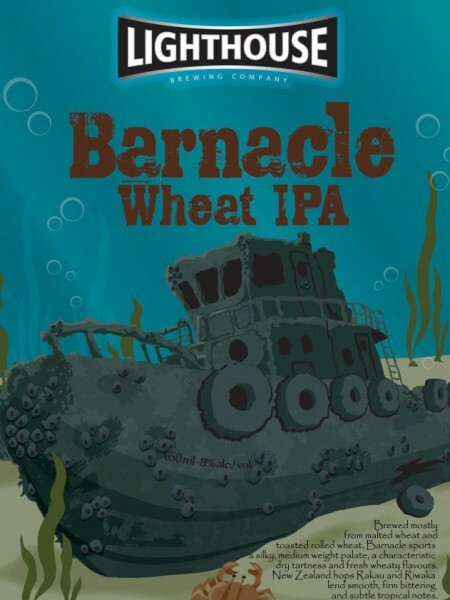 Brewed mostly from malted wheat and toasted rolled wheat, Barnacle Wheat IPA sports a silky, medium weight palate, characteristic dry tartness and fresh wheaty flavors. New Zealand hops Rakau and Riwaka lend smooth, firm bittering and subtle tropical notes. Unfiltered for maximum wheaty goodness. Barnacle Wheat IPA was available at the Lighthouse retail store in a now sold out batch of growlers. A limited run of 650 ml bottles will be available tomorrow at select private liquor stores in Victoria and area, and elsewhere in British Columbia next week.